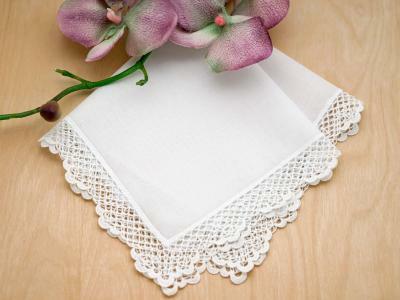 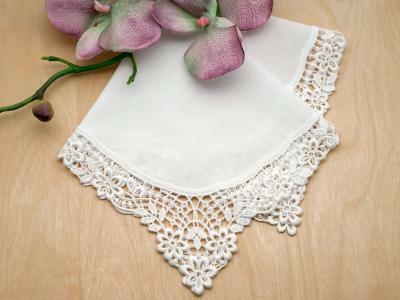 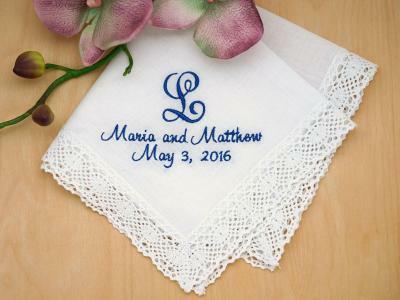 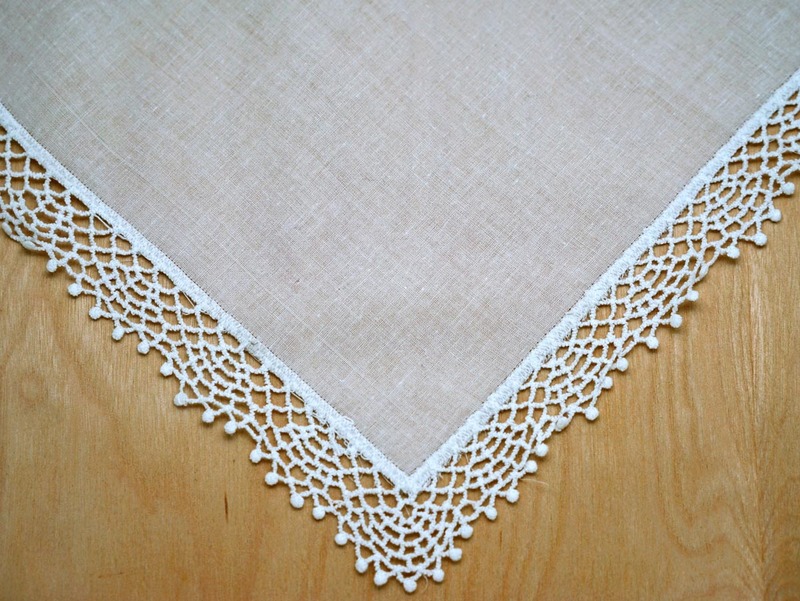 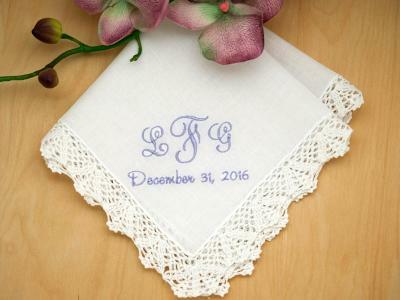 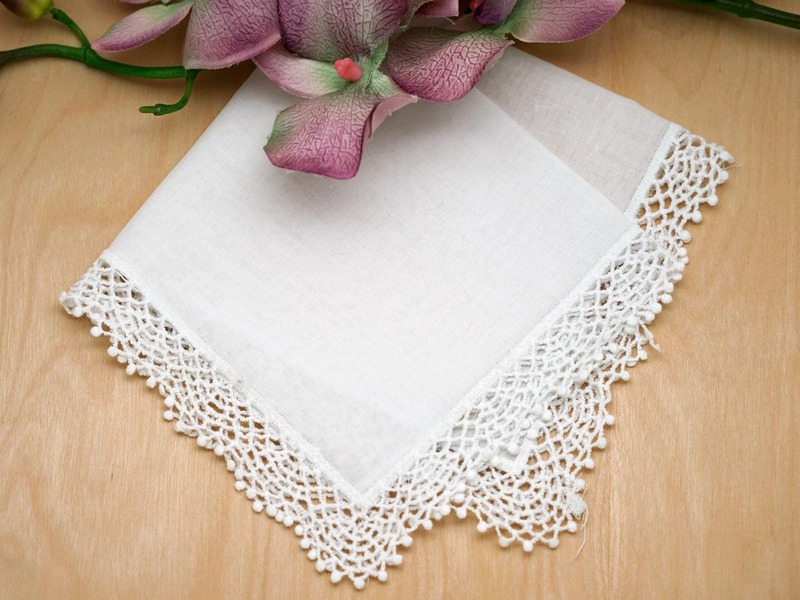 This set of 3 cluny lace wedding handkerchiefs have a delicate latticework design that is simple yet elegant. 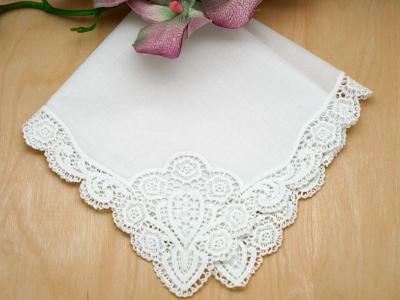 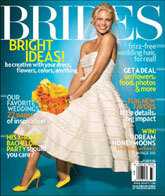 Each handkerchief has a latticework lace edging around the entire handkerchief. 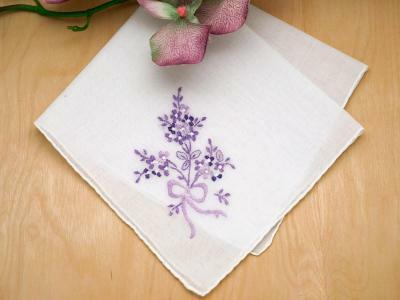 Made of 100% cotton and measures approx 12" x 12" square.